Dubspot Original Series presents Paul vs. Paul – a series of humorous father and son debates about pop culture, lifestyle, and music production. In the latest episode the duo debate topics such as the loudness war, beatboxing, pick-up lines, basketball, and choosing the right glasses to complement your style and personality – proscription not required. In this video series, legendary hip hop producer and music icon Prince Paul is joined by his son and music partner DJ Pforreal to address the important issue of new school vs. old school. The duo address important topics such as the increasing loudness in sound recordings and call for producers and engineers to please turn it down – more dynamics! They also talk about beatboxing (from the original Human Beat Boxer Doug E. Fresh and the The Diabolical Biz Markie to Rzhzel the Godfather of Noyze), counting BPMs, pick-up lines, basketball, and choosing the right glasses to complement your style and personality. 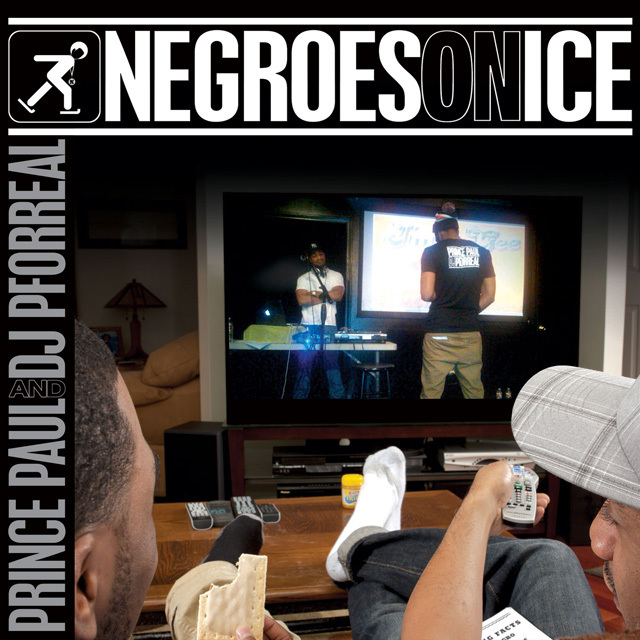 This is the sixth video in an ongoing series created to accompany the release of Prince Paul and DJ Pforreal’s Negroes on Ice album, currently available online and in stores. Prince Paul (Paul Huston) is a legend in the world of hip hop who was originally part of the early 80s rap outfit Stetsasonic and later went on to create the iconic sounds of early De La Soul albums, the Gravediggaz project (with RZA), Handsome Boy Modeling School (with Dan the Automator), as well as a series of solo albums. As a collaborative guru for music production, Paul has worked with great musicians from almost every genre including Alec Empire, Linkin Park, Faith No More’s Mike Patton, Living Colour’s Vernon Reid, and Parliament keyboardist Bernie Worrell (to name just a few). Prince Paul’s calling card on almost all his productions is an intelligent (yet sometimes silly) sense of humor that sits right behind the boom-bap beats that have made his music so popular. « Traktor DJ for iPad Tutorial Pt 2 w/ Endo: EQ, Effects + Tools for Creating Live Remixes!